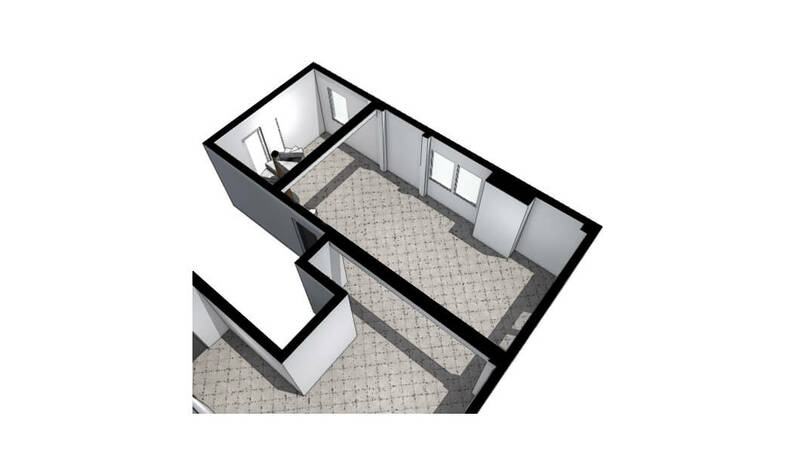 The project is about creating a new room for the baby of the family. The first thought was to create a synthesis, an object that could achieve our goal and at the same time serve more everyday needs. 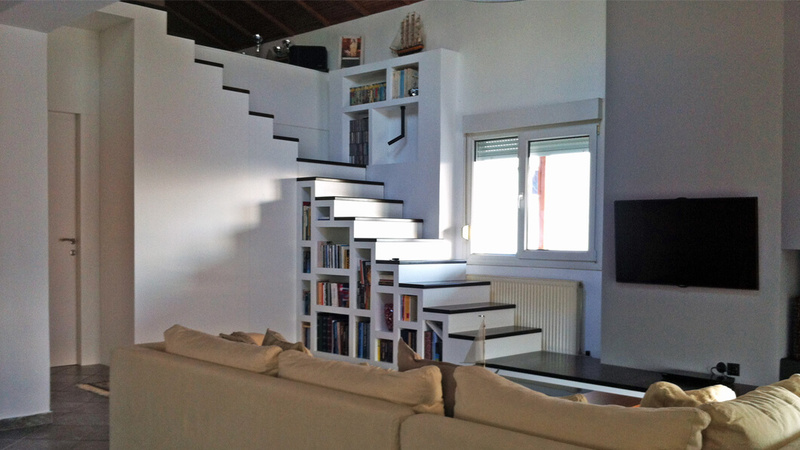 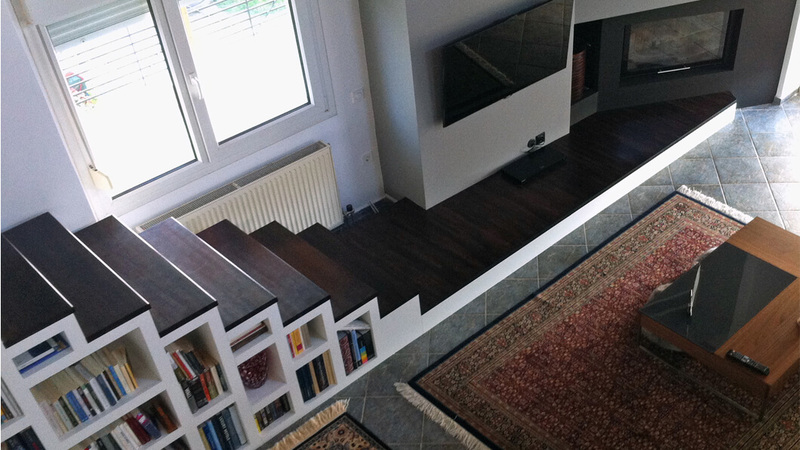 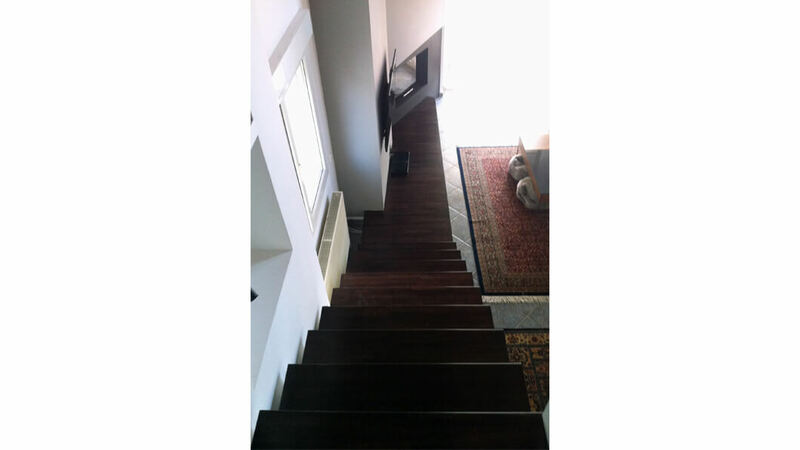 In order to achieve that we have designed and constructed a new boarder wall-staircase that encloses a wardrobe underneath and ends up to a warm corner that hosts the fireplace of the apartment. 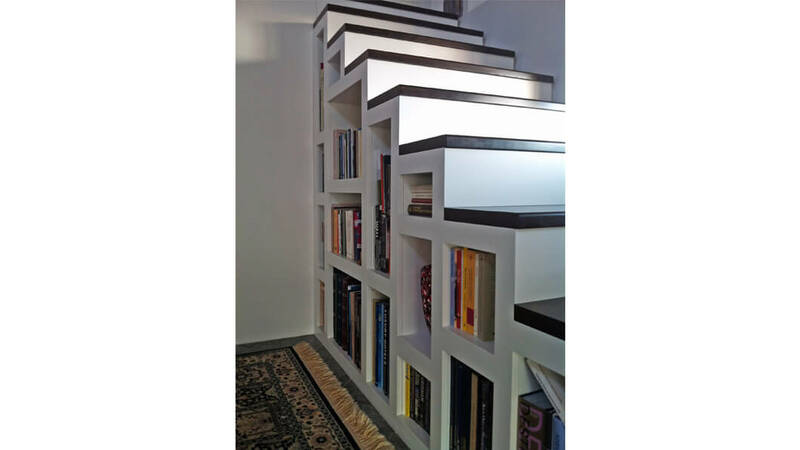 The objects acts as a separator, a bookcase, a place to seat, and of course as the way to the upper level.